It’s happened to the best of us. You’re in the liquor store, looking for something new to make for some friends this weekend, and you’re trying to decide if you should get bourbon vs whiskey only to realize that you have no idea why it matters. You puzzle over the decision for a while and eventually just give up and get vodka like every other weekend. But now you’ve had enough. It’s time to up your home bartending game and discover the difference between bourbon vs whiskey. Bourbon is a specific type of whiskey made in America that finds its origin in Kentucky and is distilled from corn. The majority of bourbon producers still distill in Kentucky to this day. However, bourbon can be produced in any of the 50 United States. Bourbon is commonly drank all on its own. Spice, however, pairs particularly well with the spirit. However, one could never go wrong with the classic Old Fashioned, the quintessential bourbon cocktail. The perfect blend of sugar and bitters with just a splash of soda to go with your ice and bourbon; all topped off with an orange wheel and a cherry. The main thing you need to know about bourbon is that its regulated by legislation. Legally, for a whiskey to be labeled as a bourbon, it is required that is has a mash bill with a minimum of 51 percent corn. The remaining bill could consist of wheat or rye, giving you wheat bourbon or rye bourbon, respectively. Wheat bourbon will typically be a bit softer, while rye bourbon has a bit more spice to its taste. Furthermore, the mash must be distilled at a maximum of 160 proof, with it being put in the barrel at a maximum of 125 proof. Following the fulfillment of the mash bill, the barrel aging process comes into play. Law stipulates that a bourbon must be aged in a charred white oak barrel, specifically a new charred white oak barrel. This particular regulation was the source of a headache for a number of major distillers recently. During the bourbon boom of the last 10 years, the unprecedented increased demand led to an alarming shortage of new barrels to keep up with the boom. Finally, bourbon, unlike other whiskies, must be made in the United States. Typically, bourbon comes from Kentucky, the location of the origin of the name, Old Bourbon, which is now called Bourbon County. Whiskey is a spirit distilled from fermented grain mash. This grain could consist of wheat, rye, barley, or corn. Following distillation, it is then aged in wooden barrels. Whiskey is produced in wide variety of places around the world. If you’re wondering about the random apparent spelling errors of some whiskey bottles, it’s not a spelling error. The spelling of the word whiskey indicates where that particular whiskey was made. Whiskies with an “ey” at the end are either American or Irish in origin. Those with only a “y” (Whisky), come from either Scottish, Japanese, or Canadian distilleries. The exception to this general rule is Maker’s Mark bourbon whisky, which uses the whisky spelling despite being made in America. In any case, whiskey is a rather broad term and can refer to a wide variety of liquor, all with distinct color, taste and smell. Scotch, bourbon and rye all fall under the title of whiskey. We won’t go into the nitty gritty details of each type of whiskey here, however. 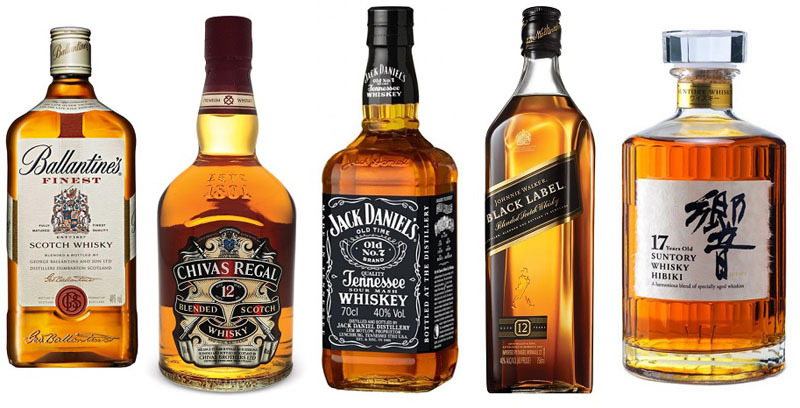 To avoid confusion, just know that a wide variety of drinks will be labeled whiskey along with their unique titles. 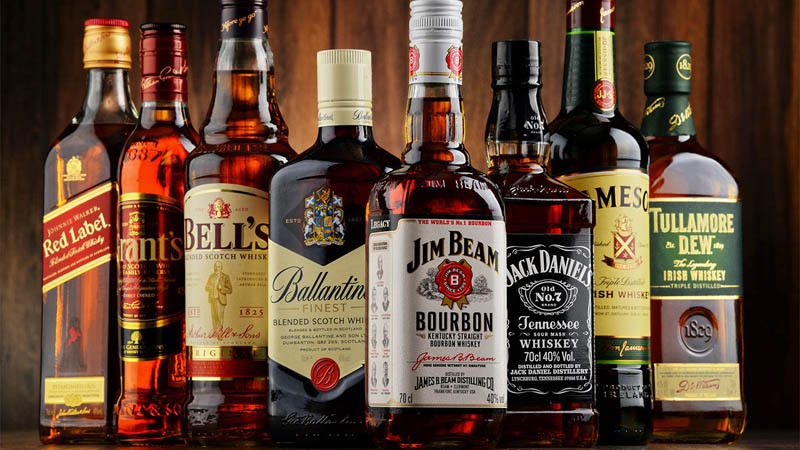 Bourbon vs Whiskey are largely set apart by the regulations surrounding the former. In the 1800’s, numerous distillers across the country devoted plenty of energy to adulterating, diluting, and tampering with their whiskies. This led to a number of customers being essentially cheated out of the spirits they paid for. So, in 1897, the Bottle in Bond Act set some standards for the industry. This particular act regulated whiskey by requiring it to be the product of one distillation season and one distiller at one distillery. The whiskey must then be bottled and stored in bonded warehouses for a period of at least 4 years, a process which is all supervised by the U.S. government. While regulating whiskey, the U.S. government also becomes the main guarantor of the authenticity of all bourbons as well. There are a few main things that set bourbon apart from whiskey in general, some of which have already been touched on. Firstly, bourbon, unlike whiskey in general, must be made in the United States. Secondly, bourbon is required to contain at least 51% corn. The distilled soon-to-be-bourbon must then be aged in new oak-charred barrels. The distillation process must take place with the bourbon at no more than 160 proof. The spirit must then be placed in the barrel at 125 proof. The minimum proof for bottled bourbon is 80 proof. Anything less than that isn’t going to make the cut. Finally, in order for it to be properly considered bourbon, the spirit may not contain any sort of added flavoring, coloring or any other kind of additive that might go into other types of whiskey. 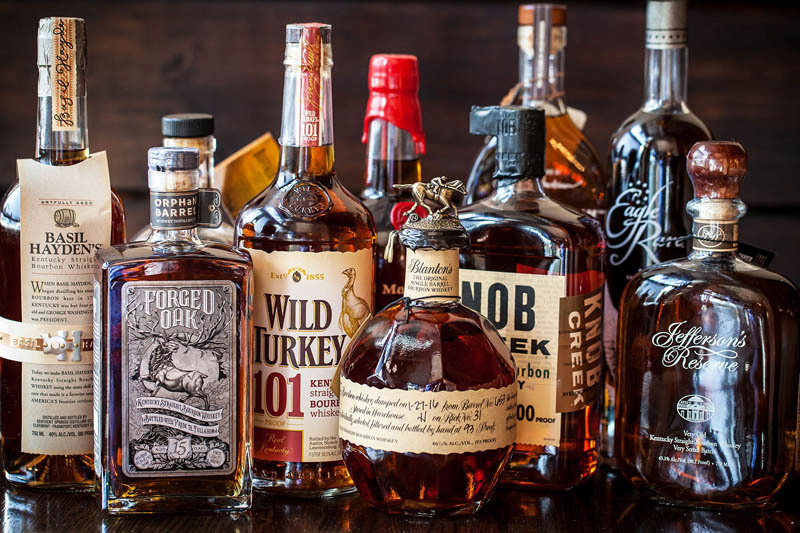 If all these qualifications are met, the whiskey has truly earned the title of bourbon. In summary, all bourbon is whiskey, but not all whiskey is bourbon. No longer must you stand dumbfounded at the liquor store, slightly embarrassed as you search the labels in vain for some sort of whiskey guide. No longer must you resort to the basic spirits to entertain your guests and keep the party going. Grab that bourbon off the shelf, confident in your newfound knowledge. Boldly ask your friends whether they would like whiskey or bourbon with their coke. Order up an Old Fashioned without struggling over your options. It’s time to up your drinking game and move past level one to bigger and better things.